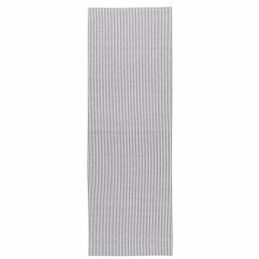 Create unique elegance with this beautiful cotton table runner. 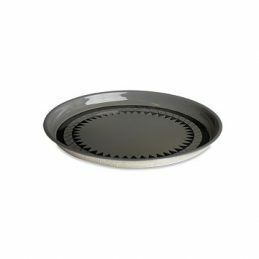 Perfect for accenting your meal, just place it across the centre of your table and set the table on each side when you serve up. 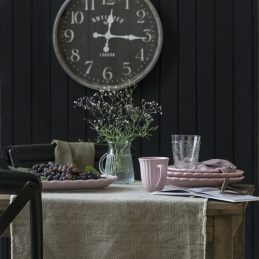 Create unique elegance with this beautiful cotton table runner. 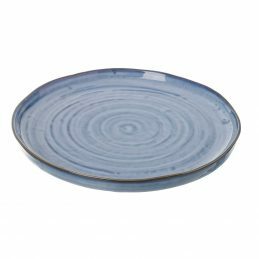 Perfect for accenting your meal, just place it across the centre of your table and then set the table. Simple and elegant white 2 layer stoneware Mynte display plate. Perfect for any occasion to present cakes or cupcakes to your guests. 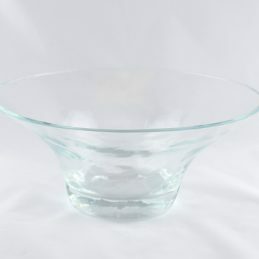 Ideal centrepiece for weddings, restaurants, buffets and party themes. 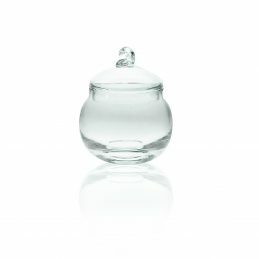 This beautiful stackable set of glass jars with lid is great to keep homemade candies and sweets. Ideal to store products in your kitchen like sugar, coffee or pasta etc., keeping your products fresh. 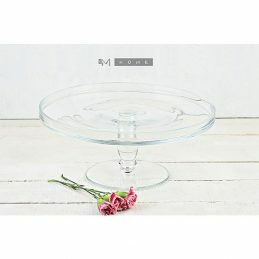 It’s functional, but also has an original design, which makes it ideal decoration for weddings and events. Great for home use as well as restaurant and bars. Dishwasher safe, but handwashing is recommended. 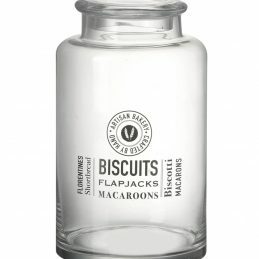 This beautiful stackable set of glass jars with lid is great to keep homemade oatcakes and cheese straws. Ideal to store products in your kitchen like sugar, coffee or pasta etc., keeping your products fresh. 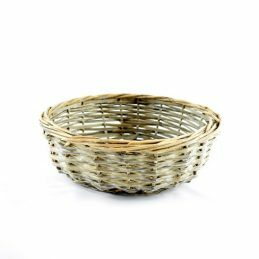 It’s functional, but also has an original design, which makes it ideal decoration for weddings and events. 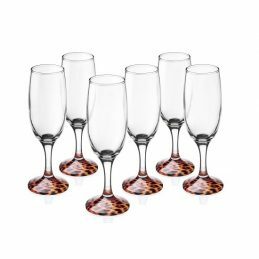 Great for home use as well as restaurant and bars. 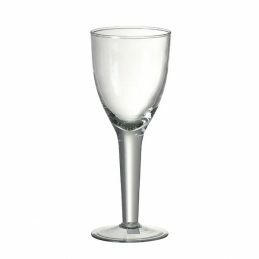 NOTE: Occasional irregularities in the glass may occur and dimensions may differ slightly due to the glass-blowing production. Dishwasher safe, but handwashing is recommended. 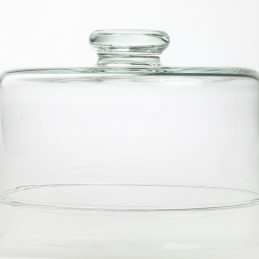 This beautiful glass jar with lid is great to keep homemade oatcakes and cheese straws. Ideal to store products in your kitchen like sugar, coffee or pasta etc., keeping your products fresh. 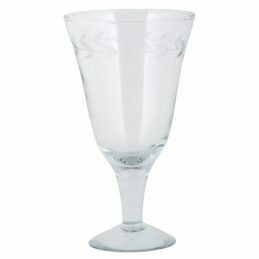 It’s functional, but also has an original design, which makes it ideal decoration for weddings and events. Great for home use as well as restaurant and bars. Dishwasher safe, but handwashing is recommended. 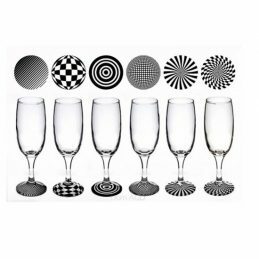 NOTE: Occasional irregularities in the glass may occur and dimensions may differ slightly due to the glass-blowing production. 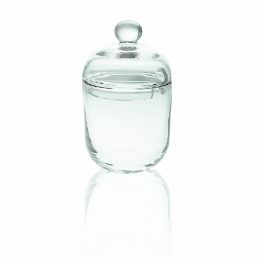 This beautiful stackable set of glass jars with lid is great to keep homemade candies and sweets. 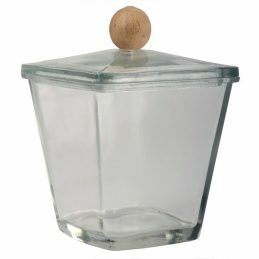 Ideal to store products in your kitchen like sugar or coffee, etc., keeping your products fresh. 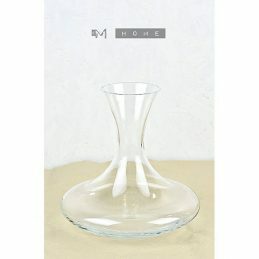 It’s functional, but also has an original design, which makes it ideal decoration for weddings and events. 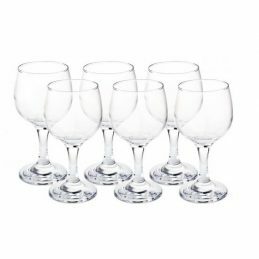 Great for home use as well as restaurant and bars. Dishwasher safe, but handwashing is recommended. 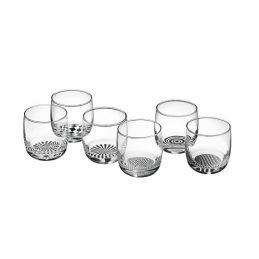 This set of jar drinking glasses with a stripy straw and top lid comes with a wire basket with handles to easily pick up and carry. 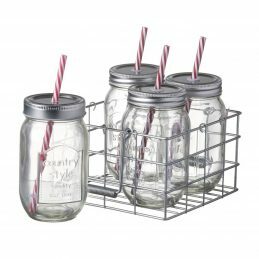 It's practical for storing and serving refreshing beverages. 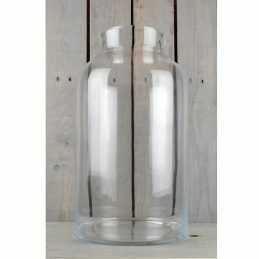 Will look great in your kitchen as a display piece, ideal for garden party. 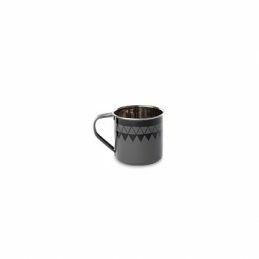 Our Agar tea set is inspired from travel throughout Africa and the Far East, where sharing tea with friends and family is a regular part of life. 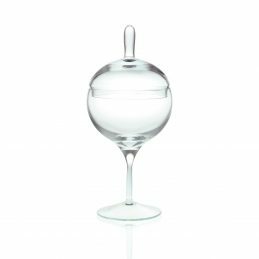 Our Agar tea set is not limited just to tea, it is perfect for cordials, milkshakes and wine. 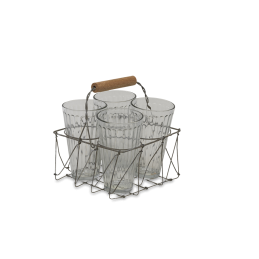 The useful wire carry framework makes it easy to transport for outside entertaining. 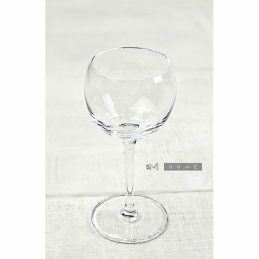 The wire frame has a natural wood handle that holds 4 or 6 glasses, the glasses have a utilitarian look and ribbed finish. 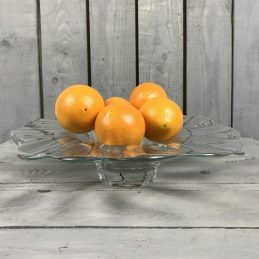 Word of wisdom: The glass has utilitarian look, the glass belongs to our Agar glass tea set but can be used as a standalone piece.Handmade from recycled glass. Choose from two sizes. 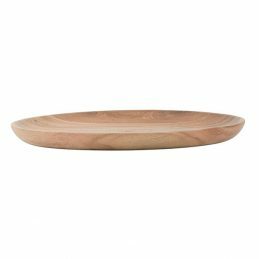 Bring some natural elements into your home with this modern design acacia wood tray / plate by Ib Laursen. Great for being used as a tabletop decoration. 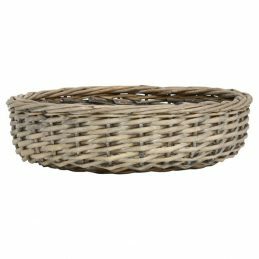 Rattan Wicker Round Serving Tray. Beautiful traditional and elegant. Round shape with handles. Perfect for catering- serving - sandwiches, tray bakes , biscuits etc. Or to display and give beautiful home baking. 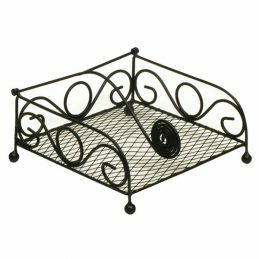 Add this traditional metal black napkin holder to your kitchen collection that will help you to keep your napkins tidy. 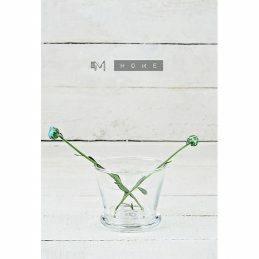 It will be also a great decoration on your dining table. 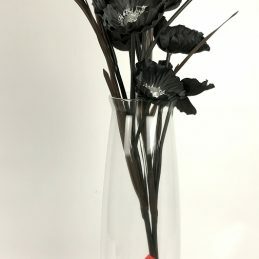 This powder coated aluminium black vase will be a perfect addition to your home. 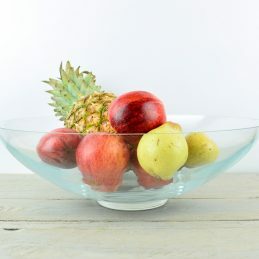 It will look great in every room, adding a modern touch to your room or table.or To be cleaned with a soft dry cloth. 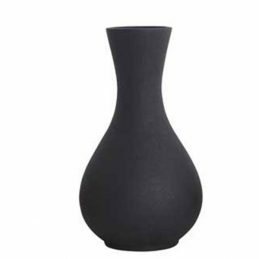 This elegant black textured vase will be a perfect addition to your home. Beautiful and tall enough design will perfectly accommodates lengthy flowers. 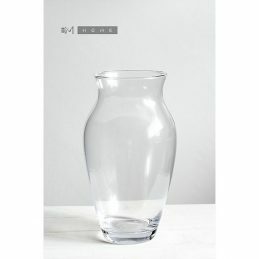 It will look great in every room, adding a modern touch to your room or table. Made of aluminum which is powder coated. To be cleaned with a soft dry cloth. 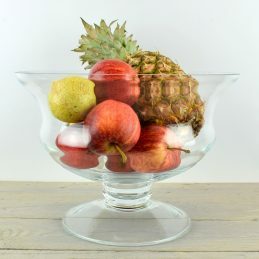 Serve your guests with this beautiful piece to enhance the look of any dessert, fruits or selection of cheeses at your table or leave it as a decoration. 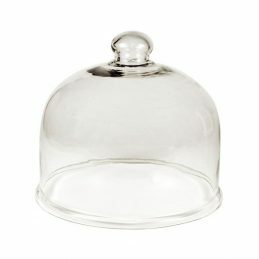 This charming, glass cake dome with stand will be a perfect addition to your kitchen for displaying and keeps fresh. 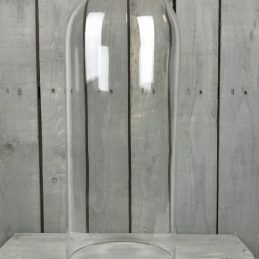 Perfect for garden party and as a wedding centrepiece. Beautiful traditional and elegant. Round shape. 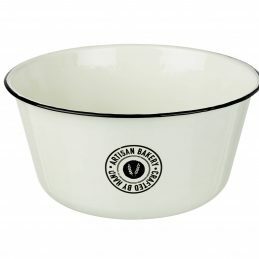 Perfect for serving bread , biscuits etc. 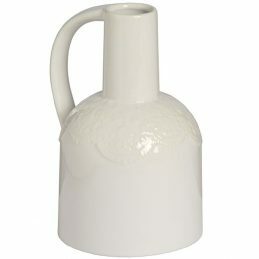 Pottery white ceramic jug in delicate lace design. 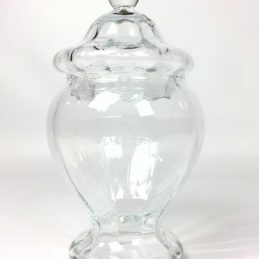 Perfect to displayed on its own or used as a vase. 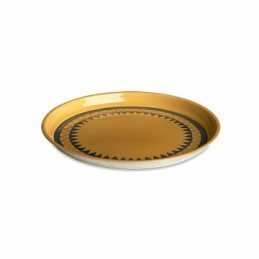 Ceramic plate Lucani will be a perfect addition to your home. 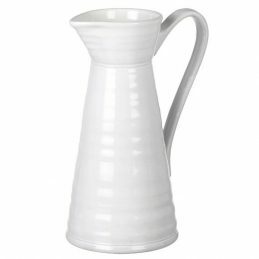 This adorable white ceramic tall jug will be a perfect addition to your home. 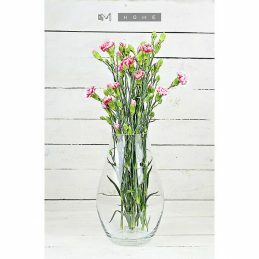 It will add a classic decor to your kitchen and also will enhance bouquets or floral displays, as can be use as vase. Perfect centrepiece for any interior, weddings or bars. 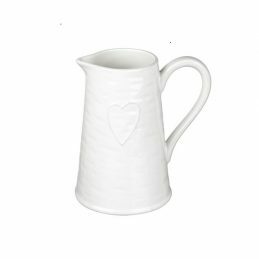 This adorable white ceramic jug will be a perfect addition to your home. 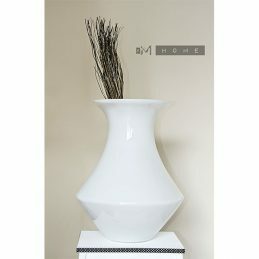 It will add a classic decor to your kitchen and also will enhance bouquets or floral displays, as can be use as vase. 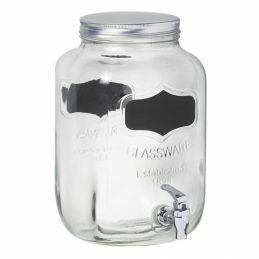 Perfect centrepiece for any interior, weddings or bars. 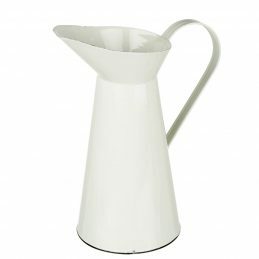 This beautiful cream enamel tall jug will be a perfect addition to your home. 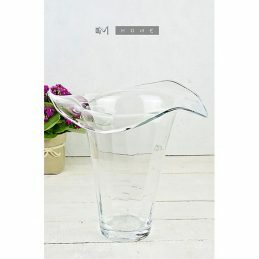 It will add a classic decor to your kitchen and also will enhance bouquets or floral displays, as can be use as vase. Perfect centrepiece for any interior, weddings or bars. 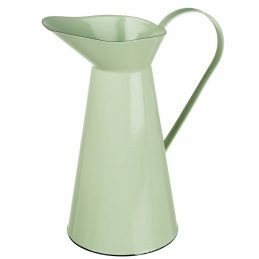 This beautiful mint enamel tall jug will be a perfect addition to your home. 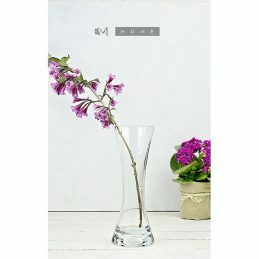 It will add a classic decor to your kitchen and also will enhance bouquets or floral displays, as can be use as vase. Perfect centrepiece for any interior, weddings or bars. 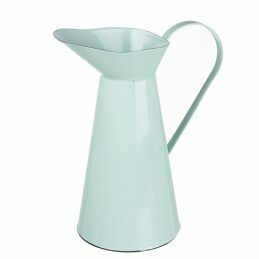 This beautiful large blue enamel tall jug will be a perfect addition to your home. 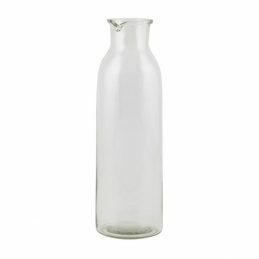 It will add a classic decor to your kitchen and also will enhance bouquets or floral displays, as can be use as vase. Perfect centrepiece for any interior, weddings or bars. 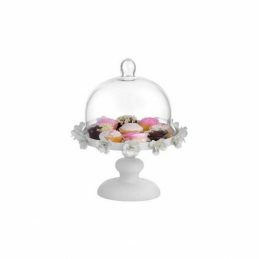 Small circular glass dome, perfect to display your ornaments as well as flowers. It brings an elegance to every room. 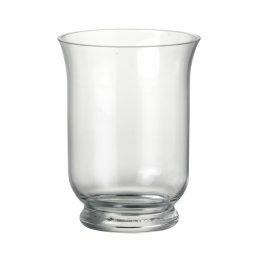 The glassware is made using artisanal mouth-blowing techniques, which gives the product unique quality and due to the nature of this product occasional irregularities in the glass may occur. 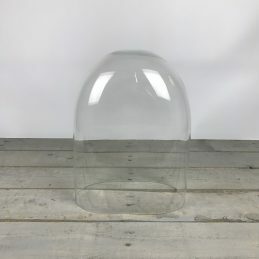 Big circular glass dome, perfect to display your ornaments as well as flowers. It brings an elegance to every room. 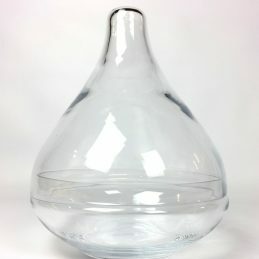 The glassware is made using artisanal mouth-blowing techniques, which gives the product unique quality and due to the nature of this product occasional irregularities in the glass may occur. 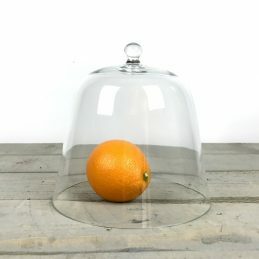 This beautiful glass cake cover dome is an elegant way to protect and serve food. Use it for cakes, fruits or cheese. 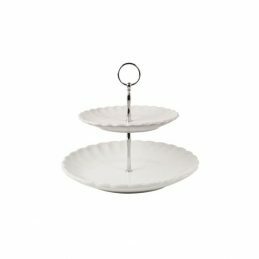 It is perfect for a footed or flat cake stand. 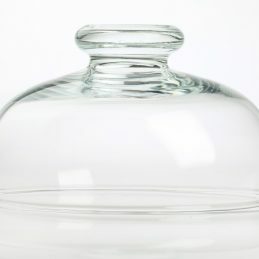 Serve your guests with this beautiful glass cake food cover dome piece to enhance the look of any dessert, fruits or selection of cheeses at your table. 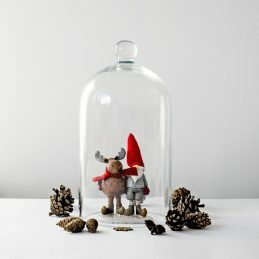 This charming dome will be a perfect addition to your kitchen for displaying and keeps fresh. 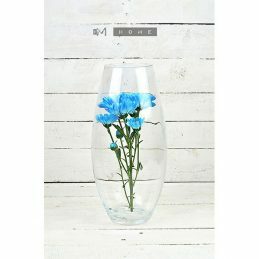 Beautiful unique glass vase, perfect for home decoration. 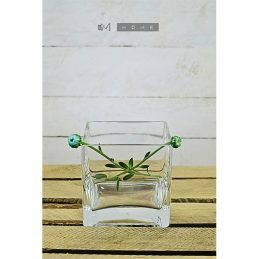 This delicately designed piece of glassware will definitely add a magical and atmospheric touch to your table and display flowers in a sophisticated way. 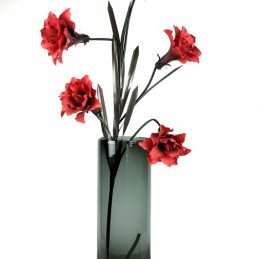 It’s a great minimalist decoration, that look great either as stand-alone piece or filled with flowers. 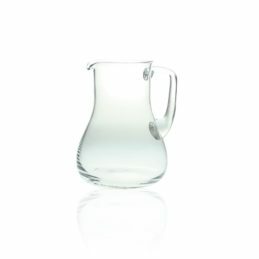 Beautiful glass jug, ideal for serving water, juice or cocktails... Or simply filled with flowers, can change to a stylish vase. Great for home use as well as restaurant and bars. 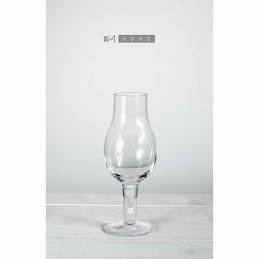 The glassware is made using artisanal mouth-blowing techniques, which gives the product unique quality and due to the nature of this product occasional irregularities in the glass may occur. 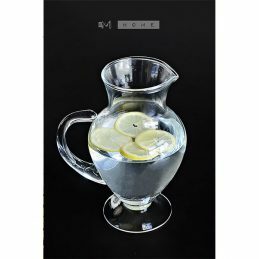 Beautiful handmade glass jug, ideal for serving water, juice or cocktails. 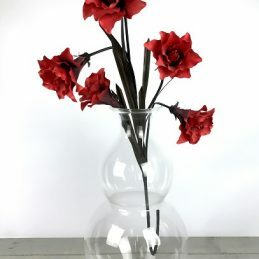 Or simply filled with flowers, can change to a stylish vase. Great for home use as well as restaurant and bars. 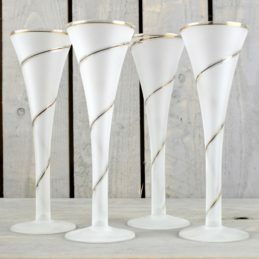 The glassware is made using artisanal mouth-blowing techniques, which gives the product unique quality and due to the nature of this product occasional irregularities in the glass may occur. 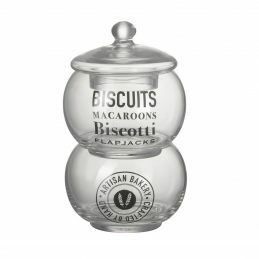 This beautiful glass jar is great to keep homemade cookies and sweets. 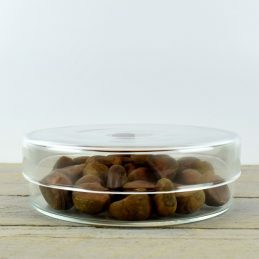 Ideal to store products in your kitchen, keeping your products fresh. 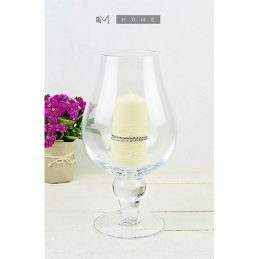 It’s functional, but also has an original design, which makes it ideal decoration for weddings and events. 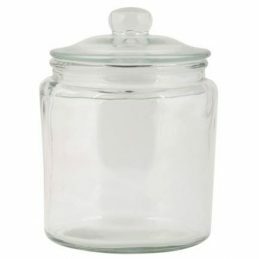 This beautiful big glass jar is great to keep homemade cookies and sweets. Ideal to store products in your kitchen, keeping your products fresh. 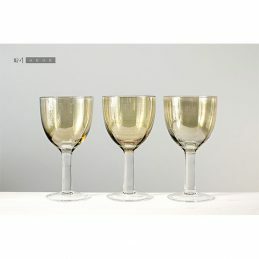 It’s functional, but also has an original design, which makes it ideal decoration for weddings and events. 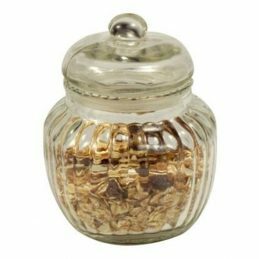 This beautiful textured glass jar is great to keep homemade cookies and sweets. Ideal to store products in your kitchen like, sugar, coffee etc., keeping your products fresh. It’s functional, but also has an original design, which makes it ideal decoration for weddings and events. 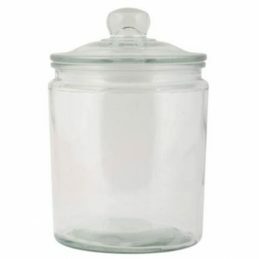 This beautiful large glass jar is great to keep homemade cookies and sweets. Ideal to store products in your kitchen, keeping your products fresh. 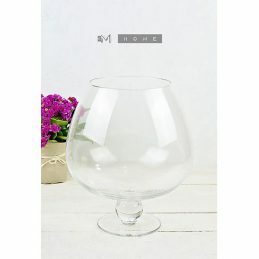 It’s functional, but also has an original design, which makes it ideal decoration for weddings and events. 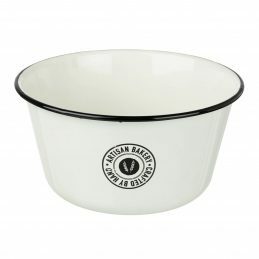 Beautiful round shape enamel bowl in a farmhouse style is great for holding bits and bobs. A great addition to your country kitchen decor. Crafted by hand. 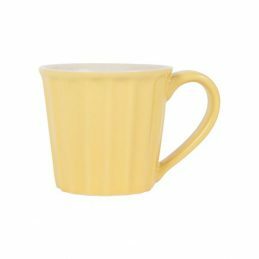 Beautiful farmhouse style cream enamel mug. Great in kitchen, alternatively can be use in bathroom. Ideal gift, can be used at home, work, in the garden or as a camping accessory. 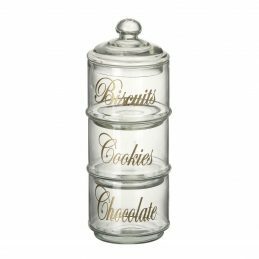 This beautiful canisters are great to keep homemade cookies and sweets. Ideal to store products in your kitchen like sugar, tea, coffee etc., keeping your products fresh. It’s functional, but also has an original design, which makes it ideal decoration. 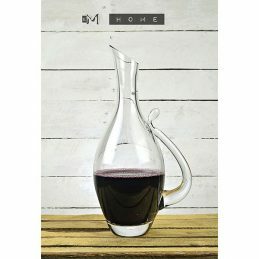 Great for home use as well as restaurant and bars. 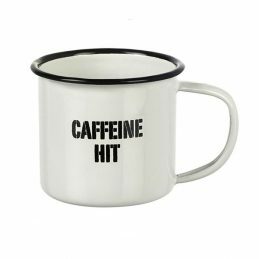 Beautiful farmhouse style small white enamel mug 'Caffeine Hit'. Great in kitchen, alternatively can be use in bathroom. Ideal gift, can be used at home, work, in the garden or as a camping accessory. 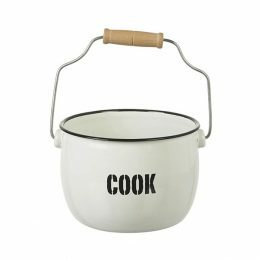 Beautiful round shape enamel pot in a farmhouse style is great for holding various of snacks and nibbles. 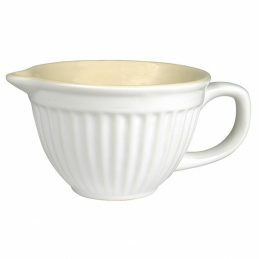 A great addition to your country kitchen decor. 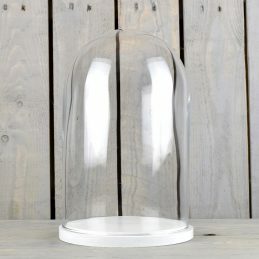 Glass Bell Cover Dome Cloche with a Marble Base Danish Design by Hubsch. 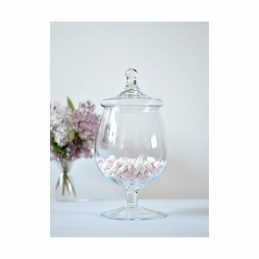 Decorative glass cover with a marble base, lovely table centrepiece, great for weddings. 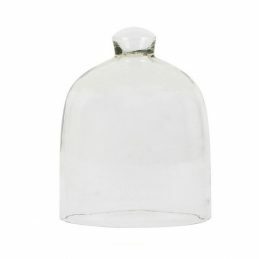 Small bottle shaped glass dome, is perfect to display your ornaments, flowers as well as candle. It brings an elegance to every room. 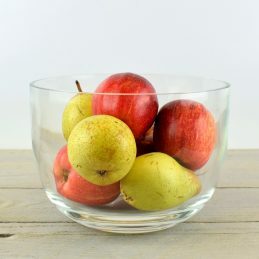 Serve your guests with this beautiful piece to enhance the look of any dessert, fruits or selection of cheeses at your table or leave it as a decoration. 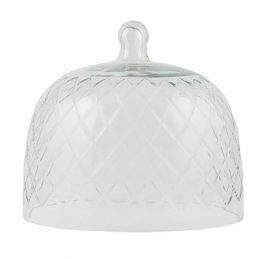 This beautiful embossed in diamond pattern glass cover cloche will be a perfect addition to your kitchen for displaying and keeping your products fresh. 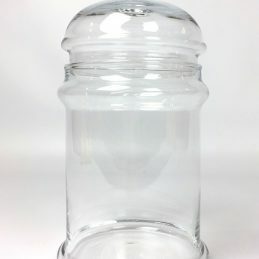 The glassware is made using artisanal mouth-blowing techniques, which gives the product unique quality and due to the nature of this product occasional irregularities in the glass may occur. 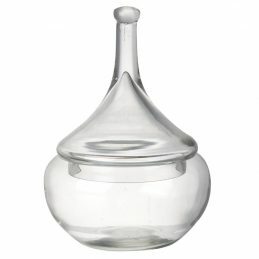 Beautiful manual glass lemon squeezer by Ib Laursen. 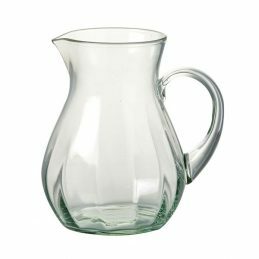 Extract all the juice without the rind directly onto the glass with this long lasting great kitchen tool. 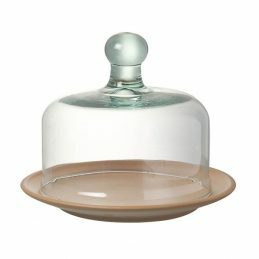 Glass Cover Petite Display Cloche Bell Jar Dome 13,5 cm Tall Danish Design by Ib Laursen A glass cover is an elegant way to protect and serve food. 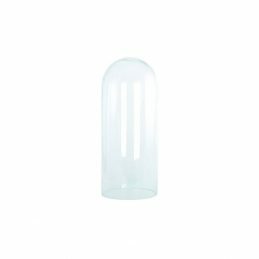 Use it for cakes, fruit, cheese or cold cuts. 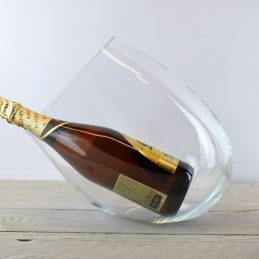 The glassware is made using artisanal mouth-blowing techniques, which gives the product unique quality and due to the nature of this product occasional irregularities in the glass may occur. 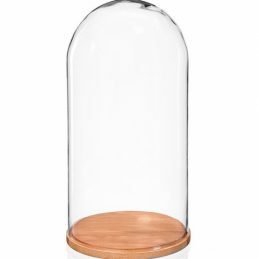 Glass Display Cover Dome Cloche W/ Natural Wooden Base Danish Design by Hubsch Decorative glass cover with natural wooden base, perfect for displaying your favourite ornaments / precious pieces. Lovely table centrepiece, great for weddings. 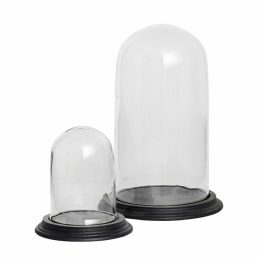 Glass Display Cover Dome Cloche With Wooden Base Set o 2 Danish Design by Hubsch. 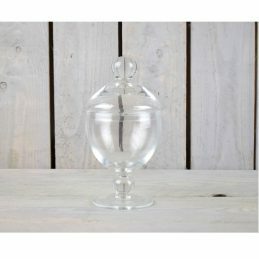 Decorative glass cover with wooden base, perfect for displaying your favourite ornaments / precious pieces Lovely table centrepiece, great for weddings. 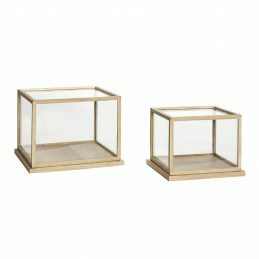 Glass Display Oak Cover Dome With Wooden Base Frame Set of 2 Danish Design. 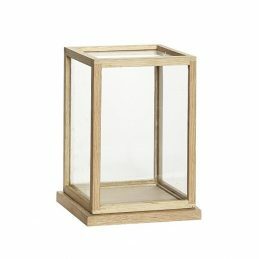 Decorative glass cover with wooden base, perfect for displaying your favourite ornaments/ precious pieces. 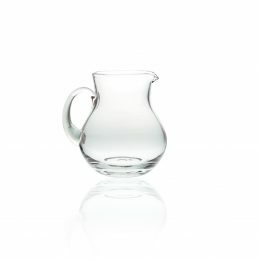 Beautiful glass jug by Parlane. 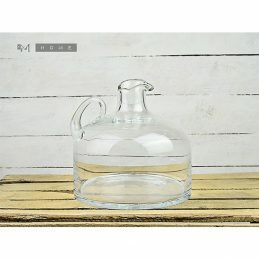 Ideal for serving water, juice or cocktails. 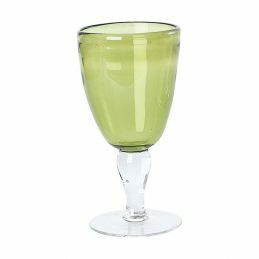 Green Wine Goblets Glasses Danish Design by House Doctor This product is made from glass. Bubbles in the surface may appear. The thickness of the glass may vary. 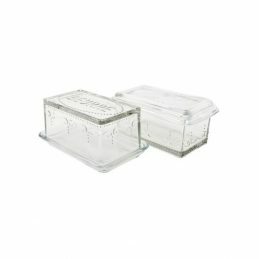 Beautiful stylish grooved patter glass butter box to store butter or vegetables in your fridge. 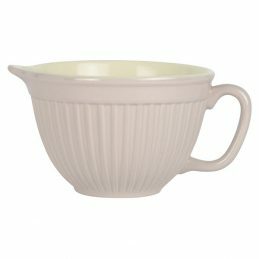 Perfect addition to your kitchen to serve in a classic way butter on your breakfast table. 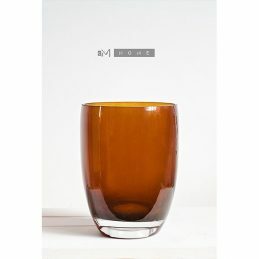 Delicately designed mouth blown coloured glass vase. 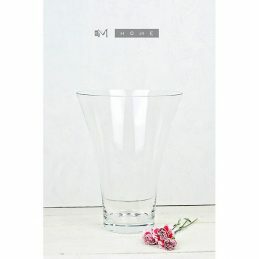 This beautiful piece of glassware will definitely add a magical and atmospheric touch to your room and table. 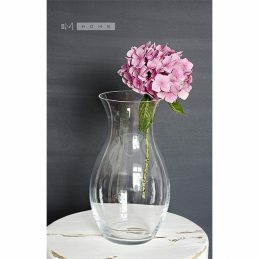 This splash of colour vase is a perfect way to display your floral bouquets and enhance your table. It makes a great gift for any occasion. 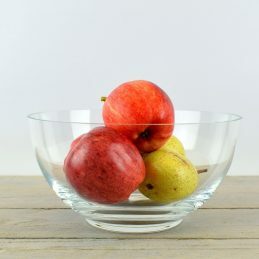 The glassware is made using artisanal mouth-blowing techniques, which gives the product unique quality and due to the nature of this product occasional irregularities in the glass may occur. 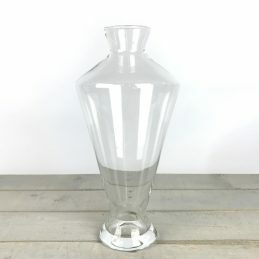 Beautiful classic glass vase which will look stylish in every room. Filled with flowers will enhance your room or table. 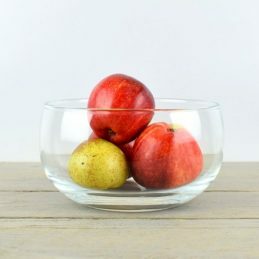 Dishwasher safe, but handwashing is recommended The glassware is made using artisanal mouth-blowing techniques, which gives the product unique quality and due to the nature of this product occasional irregularities in the glass may occur. 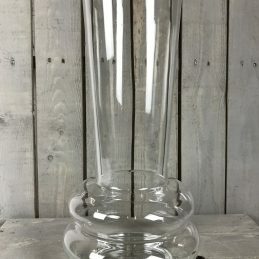 This elegant vase is made using artisanal mouth-blowing techniques. This stylish piece will be a perfect addition to your home. Beautiful and tall design which will perfectly accommodate lengthy flowers. It will look great in every room, adding a modern touch to your room or table. 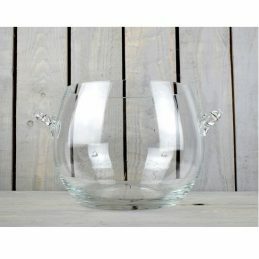 Perfect centrepiece for weddings, restaurants and party themes. 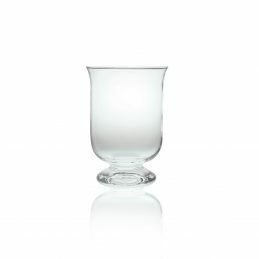 The glassware is made using artisanal mouth-blowing techniques, which gives the product unique quality and due to the nature of this product occasional irregularities in the glass may occur. 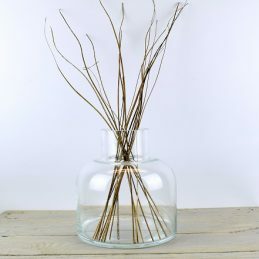 Simple, classic and elegant vase is perfect for floral bouquets as well as wild garden flowers. 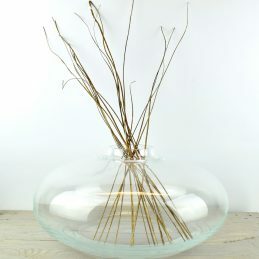 Simplistic and tall enough design is functional and will look great filled with big bunch of flowers or candle. 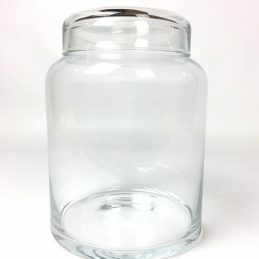 The glassware is made using artisanal mouth-blowing techniques, which gives the product unique quality and due to the nature of this product occasional irregularities in the glass may occur. Dishwasher safe, but handwashing is recommended. 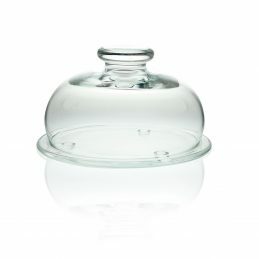 Simply designed trifle footed dish, perfect for serving desserts, sorbet and all types of ice cream creations. 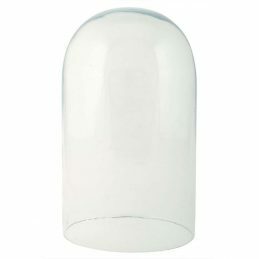 Elegant centrepiece for weddings, restaurants and party themes. 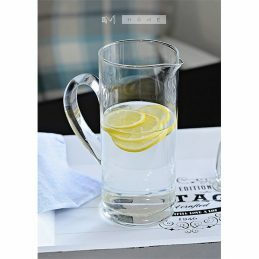 The glassware is made using artisanal mouth-blowing techniques, which gives the product unique quality and due to the nature of this product occasional irregularities in the glass may occur. 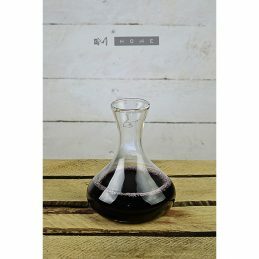 Beautiful hand made clear footed cocktail, coffee, glass makes a classy addition to your cocktail service. The glassware is made using artisanal mouth-blowing techniques, which gives the product unique quality and due to the nature of this product occasional irregularities in the glass may occur. Set of 4. 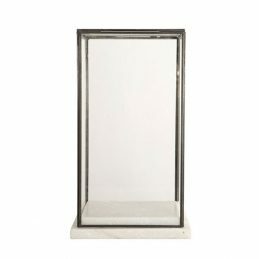 Glass and Iron Showcase with Marble base Display Cloche Bell Jar Dome 33 cm Tall Danish Design by House Doctor. 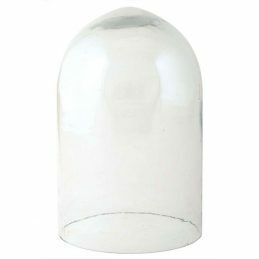 Circular clear glass dome, perfect to display your ornaments as well as flowers. It brings an elegance to every room. NOTE: The dimensions may differ slightly due to the glass-blowing production. 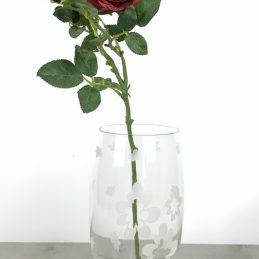 The glassware is made using artisanal mouth-blowing techniques, which gives the product unique quality and due to the nature of this product occasional irregularities in the glass may occur. 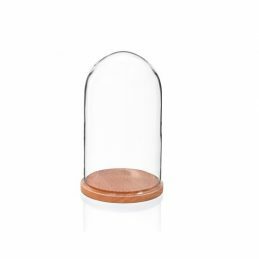 This circular clear glass dome, is perfect to display your ornaments as well as flowers. It brings an elegance to every room. NOTE: The dimensions may differ slightly due to the glass-blowing production. 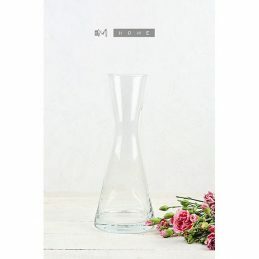 The glassware is made using artisanal mouth-blowing techniques, which gives the product unique quality and due to the nature of this product occasional irregularities in the glass may occur. Manufactured in Poland. 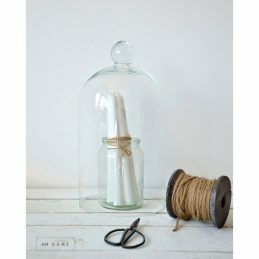 Large circular clear glass dome, is perfect to display your ornaments as well as flowers. It brings an elegance to every room. NOTE: The dimensions may differ slightly due to the glass-blowing production. 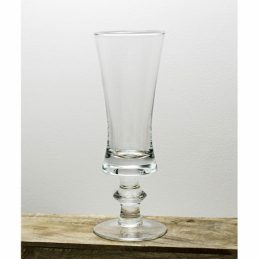 The glassware is made using artisanal mouth-blowing techniques, which gives the product unique quality and due to the nature of this product occasional irregularities in the glass may occur. Manufactured in Europe. 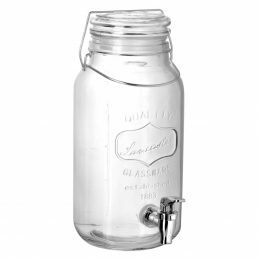 This beautiful glass drinks beverage jar dispenser with screw top lid with tap and chalk Label is ideal for BBQ's, parties and buffets to keep the refreshments flowing. 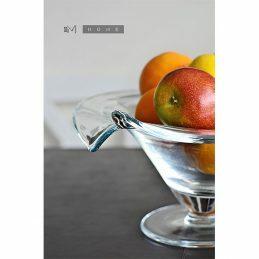 Made of high quality durable glass. 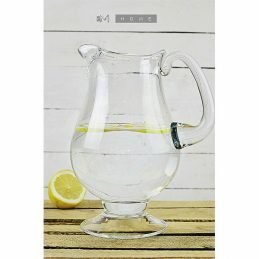 Ideal for serving lemonade, water, juice or cocktails. 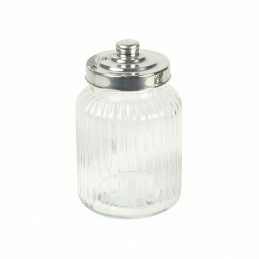 This beautiful Jar Glass Drinks Beverage Dispenser Screw Top with Tap Chalk by Parlane is ideal for BBQ's, parties and buffets to keep the refreshments flowing. 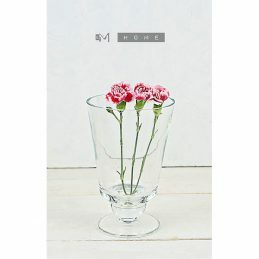 Made of high quality durable glass. 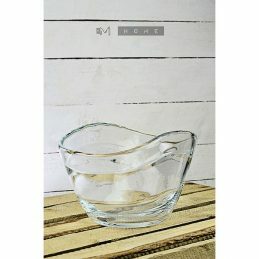 Ideal for serving lemonade, water, juice or cocktails. 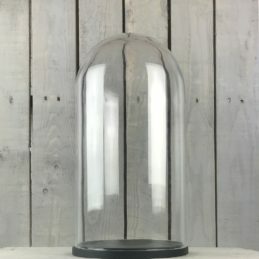 Large Glass and Iron Showcase Display Cloche Bell Jar Dome 33 cm Tall Danish Design by House Doctor. 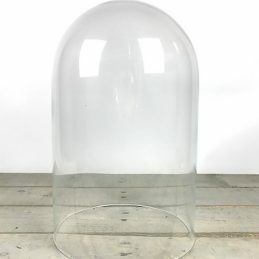 Large Glass Display Cloche Bell Jar Dome Drome 32,5 cm Tall Danish Design. 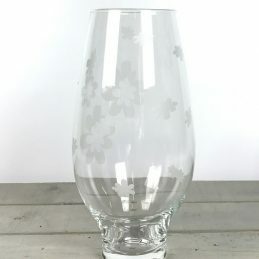 The glassware is made using artisanal mouth-blowing techniques, which gives the product unique quality and due to the nature of this product occasional irregularities in the glass may occur. 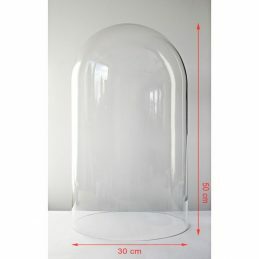 Tall circular glass dome, perfect to display your ornaments as well as flowers. It brings an elegance to every room. 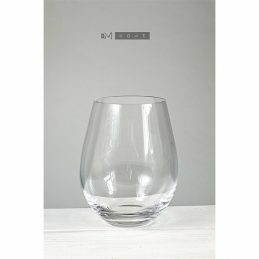 The glassware is made using artisanal mouth-blowing techniques, which gives the product unique quality and due to the nature of this product occasional irregularities in the glass may occur. Hand washing recommended. 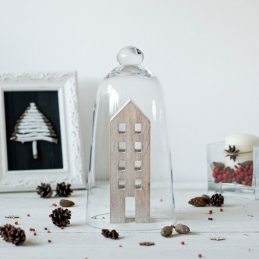 Decorative large glass cover with wooden base made in Poland, perfect for displaying your favourite ornaments / precious pieces. Lovely table centrepiece, great for weddings. 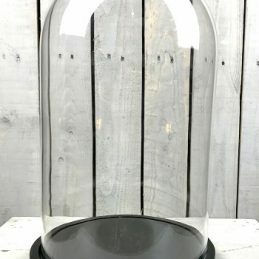 Decorative large glass dome cover with black wooden base made in Poland, perfect for displaying your favourite ornaments / precious pieces. Lovely table centrepiece, great for weddings. 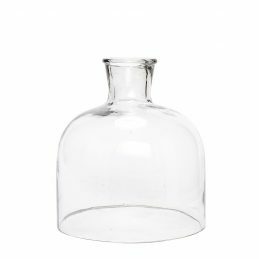 Decorative hight quality medium glass cover with wooden base made in Poland, perfect for displaying your favourite ornaments / precious pieces. Lovely table centrepiece, great for weddings. 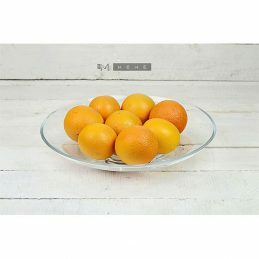 Decorative hight quality medium glass cover with white wooden base made in Poland, perfect for displaying your favourite ornaments / precious pieces. Lovely table centrepiece, great for weddings. 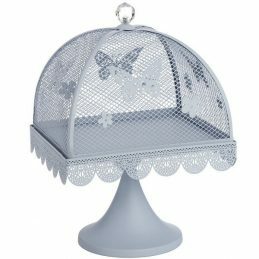 Decorative hight quality small glass cover with wooden base made in Poland, perfect for displaying your favourite ornaments / precious pieces. Lovely table centrepiece, great for weddings. 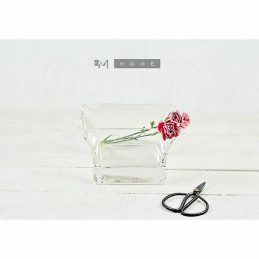 Decorative hight quality small glass cover with black wooden base made in Poland, perfect for displaying your favourite ornaments / precious pieces. Lovely table centrepiece, great for weddings. 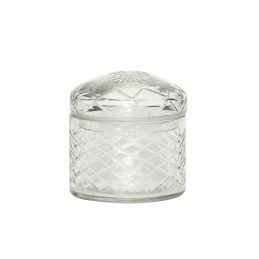 Decorative hight quality small glass cover with white wooden base made in Poland, perfect for displaying your favourite ornaments / precious pieces. Lovely table centrepiece, great for weddings. Large rectangular glass showcase with wooden base, perfect to exhibit your favourite ornaments, precious pieces and antiques. 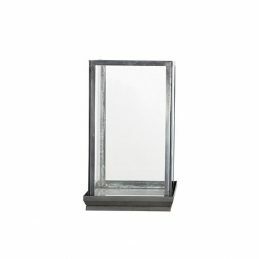 The glass case is ideal for a nice display on a table or on a dresser. 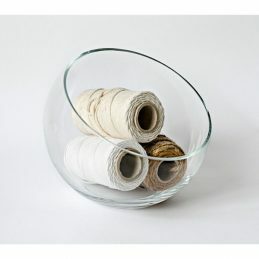 You can also use the glass case as an alternative storage solution in your office for things such as ribbons and tape. Available in different shapes and sizes. 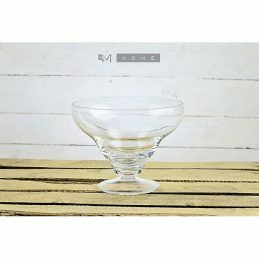 This big, glass cover, would be perfect to display your ornaments, flowers as well as candles. It brings an elegance to every room. 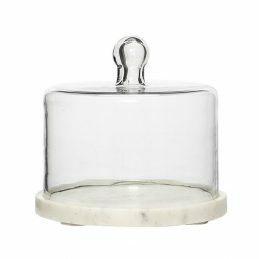 Provide your dinner table, window decoration or spices in the kitchen with the last touch, by use of this lovely glass case from House Doctor. 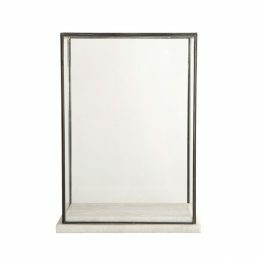 The case of glass is perfect for cosy dinners in the open air and ideal to use as an extra element in the window frame. 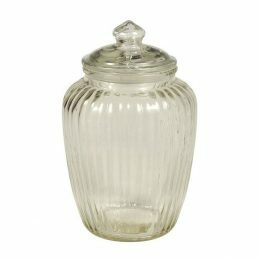 The glass case will provide your home décor or store with a decorative and personal touch. 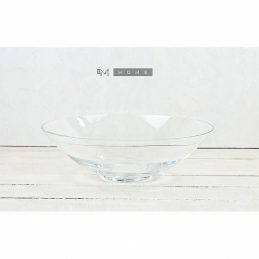 It measures 20 cm in diameter and 16 cm in height. Besides, the glass case is not dishwasher-safe. 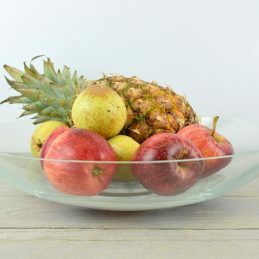 Serve your guests with this beautiful piece to enhance the look of any dessert, fruits or selection of cheeses at your table or leave it as a decoration. 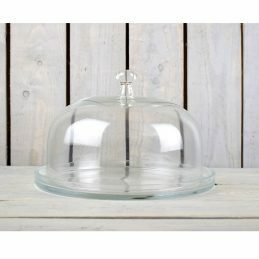 This charming, mouth blown glass cake dome will be a perfect addition to your kitchen for displaying and keeps fresh. 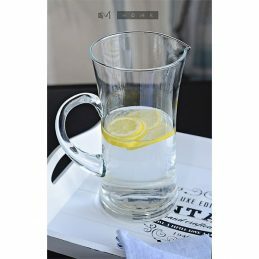 The glassware is made using artisanal mouth-blowing techniques, which gives the product unique quality and due to the nature of this product occasional irregularities in the glass may occur. 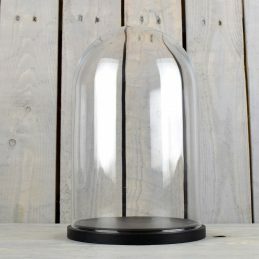 Large Glass and Iron Showcase with Marble base Display Cloche Bell Jar Dome 38 cm Tall Danish Design by House Doctor. 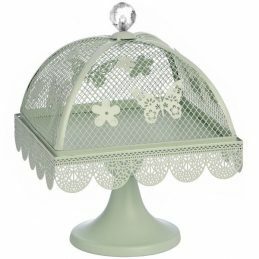 Tall circular glass dome, is perfect to display your ornaments as well as flowers. It brings an elegance to every room. We offer a service of making bespoke wooden base, please contact us for quote. NOTE: The dimensions may differ slightly due to the glass-blowing production. The glassware is made using artisanal mouth-blowing techniques, which gives the product unique quality and due to the nature of this product occasional irregularities in the glass may occur. 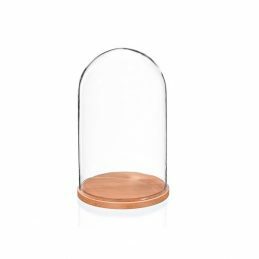 Tall circular glass dome, is perfect to display your ornaments as well as flowers. It brings an elegance to every room. 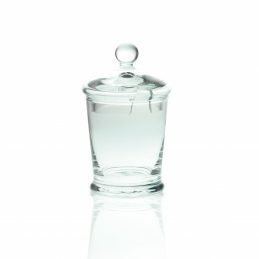 The glassware is made using artisanal mouth-blowing techniques, which gives the product unique quality and due to the nature of this product occasional irregularities in the glass may occur. 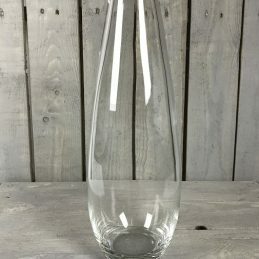 This elegant vase is made using artisanal mouth-blowing techniques. This stylish piece will be a perfect addition to your home. Beautiful and tall design which will perfectly accommodate lengthy flowers. 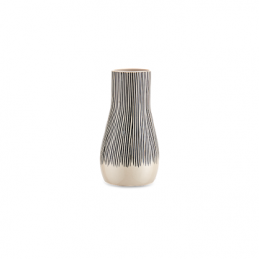 It will look great in every room, adding a modern touch to your room or table. The glassware is made using artisanal mouth-blowing techniques, which gives the product unique quality and due to the nature of this product occasional irregularities in the glass may occur. 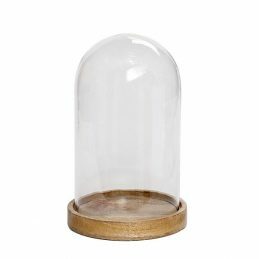 Beautiful glass display cloche, perfect for displaying your favourite ornaments / precious pieces or plants. 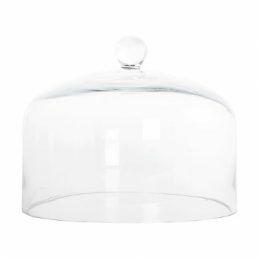 This charming, mouth blown glass dome will be also a perfect addition to your home / kitchen for displaying and keeps fresh. 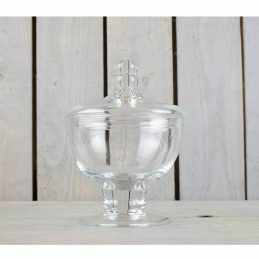 Perfect as wedding centrepiece or to show off desserts on your table. We offer a service of making bespoke wooden base, please contact us for a quote. NOTE: The dimensions may differ slightly due to the glass-blowing production. 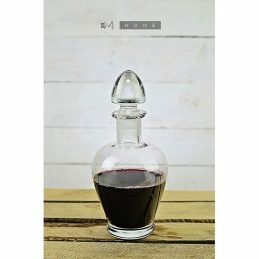 The glassware is made using artisanal mouth-blowing techniques, which gives the product unique quality and due to the nature of this product occasional irregularities in the glass may occur. 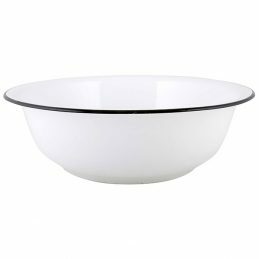 White large enamel washing up bowl with black rim by Ib Laursen. 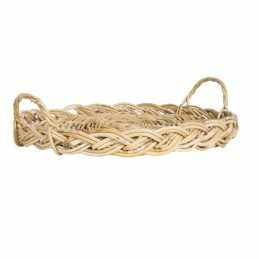 Beautiful piece that will add a farmhouse charm to your bathroom. 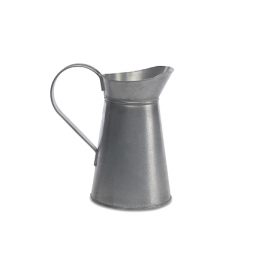 Can be also used in the kitchen and garden. Stone ware batter bowl by Ib Laursen in Latte colour. Great addition to your kitchen, will help you to prepare cakes etc. Mynte® stoneware is, with all the colours and designs, a very popular kitchen line. Can be used in microwave, fridge and oven. Perfect as a gift. 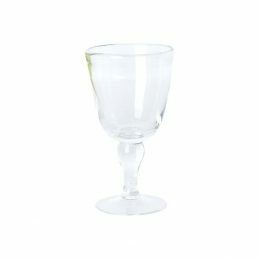 Serve your guest with this elegant beautiful wine glass. 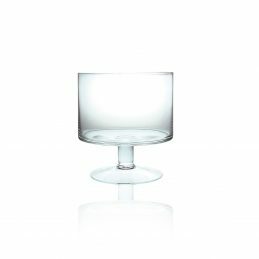 The classic and simple design makes it the ideal addition for any dining table. 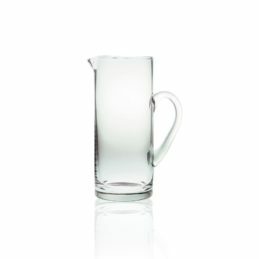 It’s also perfect for serving water.It makes a great gift for any occasion. Dishwasher safe, but handwashing is recommended. 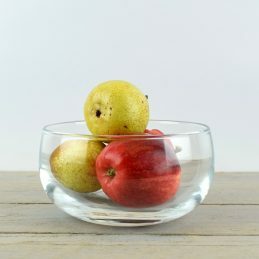 The glassware is made using artisanal mouth-blowing techniques, which gives the product unique quality and due to the nature of this product occasional irregularities in the glass may occur. 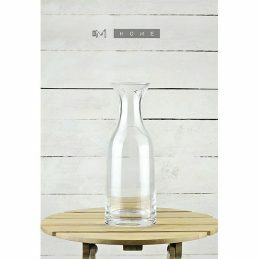 Simple, classic and elegant glass decanter is perfect for water. 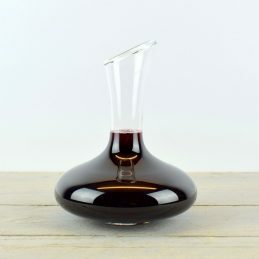 It will be a great addition to your room and table as this decanter does not occupy a lot of space. 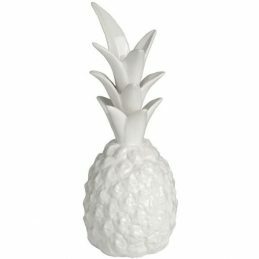 Bring modern feel into your home with this beautiful decorative white ceramic pineapple by Hill Interior. 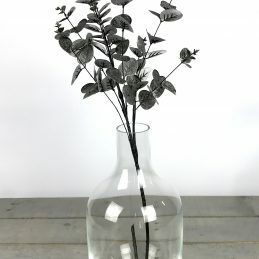 Perfect as a tabletop decoration or wedding centrepiece. 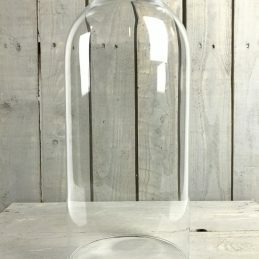 Medium Glass Display Cloche Bell Jar Dome 28 cm Tall Danish Design by Ib Laursen. The glassware is made using artisanal mouth-blowing techniques, which gives the product unique quality and due to the nature of this product occasional irregularities in the glass may occur. 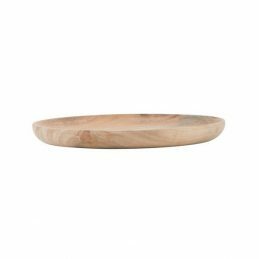 Serve your guests with this beautiful piece to enhance the look of any dessert, fruits or selection of cheeses at your table. 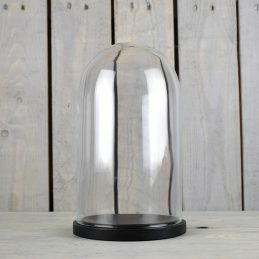 This charming dome will be a perfect addition to your kitchen for displaying and keeps fresh. 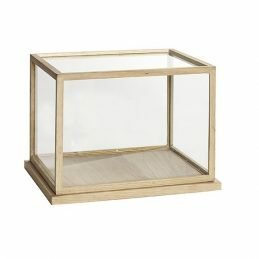 Decorative large glass cover with wooden base is also perfect for displaying your favourite ornaments / precious pieces. Lovely table centrepiece, great for weddings. 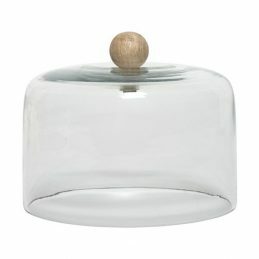 Beautiful glass Laura storing jar with wooden knob. 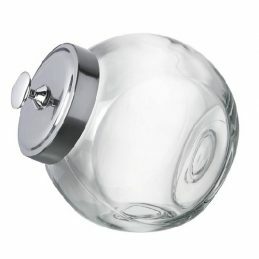 This unique shaped jar will be a perfect addition to your kitchen or bathroom. 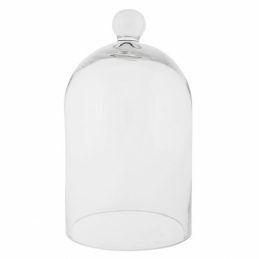 Beautiful glass display cloche, perfect for displaying your favourite ornaments/ precious pieces or plants. 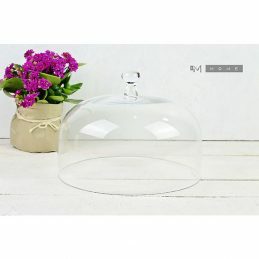 This charming, mouth blown glass dome will also be a perfect addition to your home/ kitchen for displaying and keeps fresh. 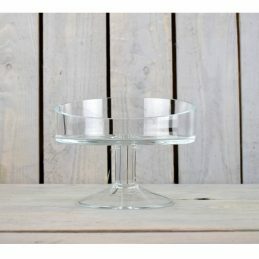 Perfect as wedding centrepiece or to show off desserts on your table. 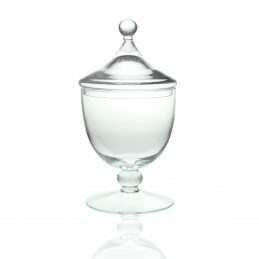 Serve your guests with this beautiful piece to enhance the look of any dessert, fruits or selection of cheeses at your table. 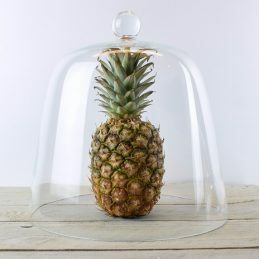 This charming dome will be a perfect addition to your kitchen for displaying and keeps fresh. 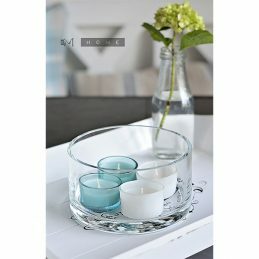 Decorative large glass cover with ceramic base is also perfect for displaying your favourite ornaments / precious pieces. Lovely table centrepiece, great for weddings. 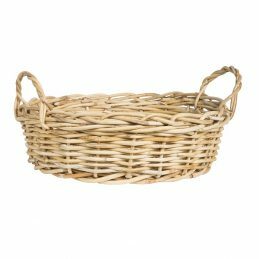 Beautiful vintage metal bottle carrier rack basket with wooden handle by Ib Laursen. 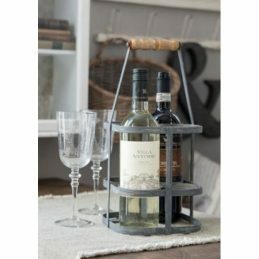 It holds 4 bottles and is perfect to easier carry them around. 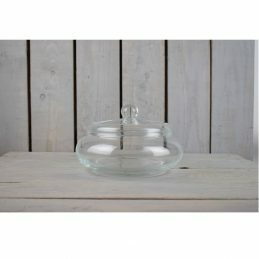 Will look great in your kitchen as a display piece or can be use to hold the utensils. Ideal for garden party. Stone ware batter mini bowl by Ib Laursen in Latte colour. 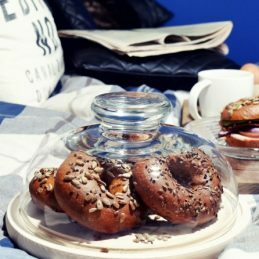 Mynte® stoneware is, with all the colours and designs, a very popular kitchen line. Can be used in microwave, fridge and oven. Perfect as a gift. 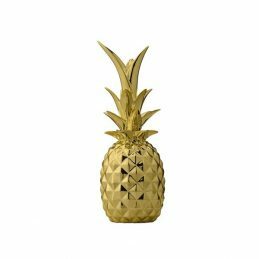 Bring modern feel into your home with this beautiful decorative gold porcelain pineapple by Bloomingville. 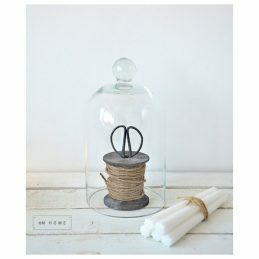 Perfect as a tabletop decoration or wedding centrepiece. 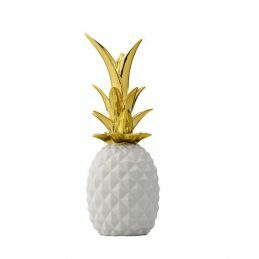 Bring modern feel into your home with this beautiful decorative white & gold porcelain pineapple by Bloomingville. 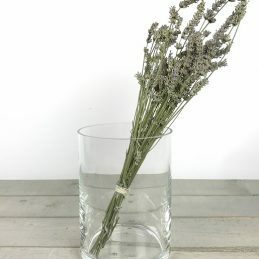 Perfect as a tabletop decoration or wedding centrepiece. 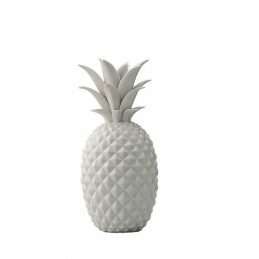 Bring modern feel into your home with this beautiful decorative white porcelain pineapple by Bloomingville. 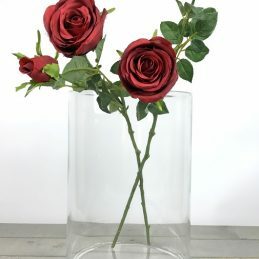 Perfect as a tabletop decoration or wedding centrepiece. 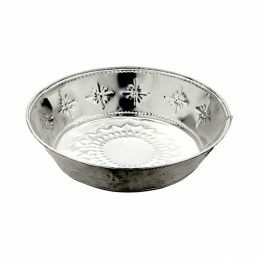 Modern design metal silver bowl. Will be a perfect addition to your home. 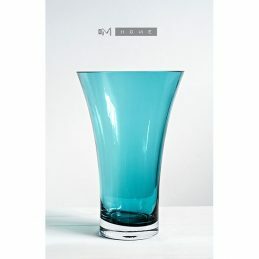 Delicately designed mouth blown coloured glass vase. 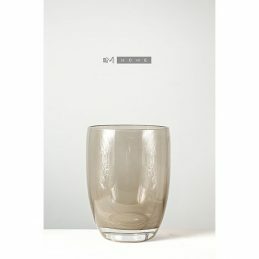 This beautiful piece of glassware will definitely add a magical and atmospheric touch to your room and table. 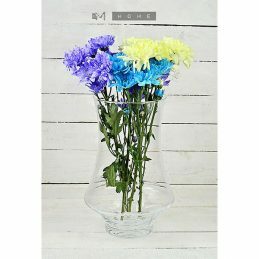 This splash of colour vase is a perfect way to display your floral bouquets and enhance your table. It makes a great gift for any occasion. The glassware is made using artisanal mouth-blowing techniques, which gives the product unique quality and due to the nature of this product occasional irregularities in the glass may occur. Dishwasher safe, but handwashing is recommended. 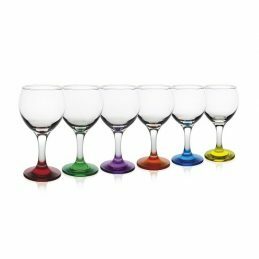 Elegant hand crafted coloured glasses, perfect for serving your favourite drinks and cocktails. Great for adding a splash of colour to your party table . 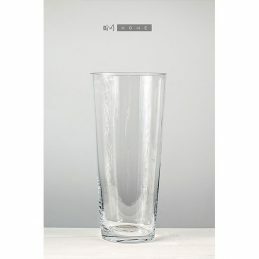 The glassware is made using artisanal mouth-blowing techniques, which gives the product unique quality and due to the nature of this product occasional irregularities in the glass may occur. 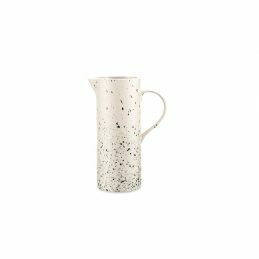 These elegant Ama jugs are handmade from stoneware and finished in a smooth glaze. The striking black splatter design is created by hand. 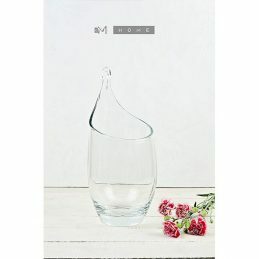 Ideal as a pouring jug, they also make a striking vase. 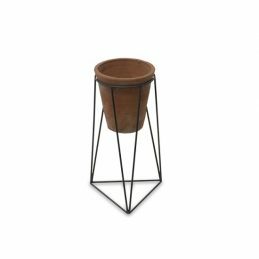 These large clay plant pots are ideal for displaying plants and small trees inside and outside. The pots are made using traditional techniques in Vietnam. 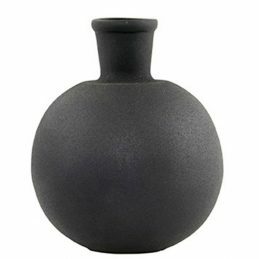 These traditional clay pots make an elegant addition to a garden or inside space. Hole in the base for drainage, these are frost proof. This authentic collection of pots are handmade from clay with a raw natural finish. We love the aged look of these pieces. The pots are made using traditional coiling techniques. 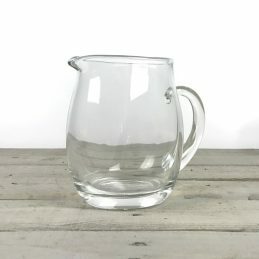 Beautiful vintage style pitcher, can be used for water or storing utensils in the kitchen. 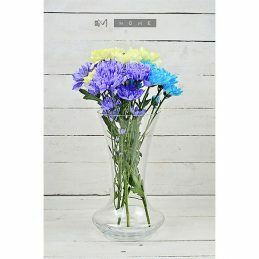 Ideal to display flowers at your home or in the garden. Perfect as a wedding centrepiece. This authentic collection of pots are handmade from clay with a raw natural finish. We love the aged look of these pieces. The pots are made using traditional coiling techniques. 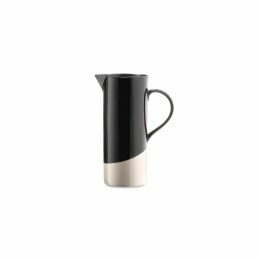 Our Kabar jugs are hand dipped in an eye-catching black and off white monochrome glaze. 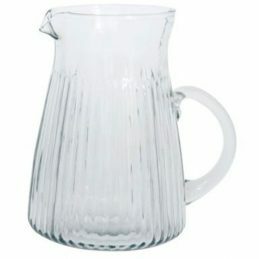 They are perfect as breakfast jugs, for serving water and cordials or as striking vases. 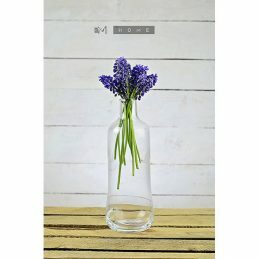 Our attractive ceramic vases are handmade using ancient potting techniques. 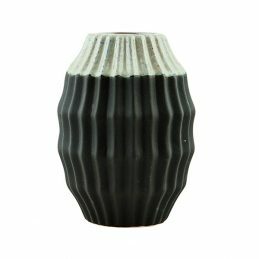 The striking black design is etched using traditional wooden tools and hand painted with a jet black glaze. 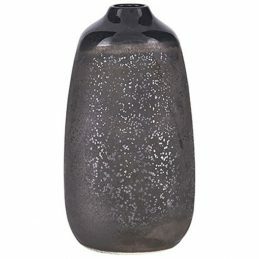 These elegant small bulb shaped vases have an attractive black etching design that displays beautifully. Care Instructions: Handwash only. Our Satara Hand Painted Mugs are perfect inside and out. We love their striking Aztec design. The muted shades of this collection all complement each other and can be mixed and matched together. Each one is hand painted by artisans in Kashmir using age old skills. 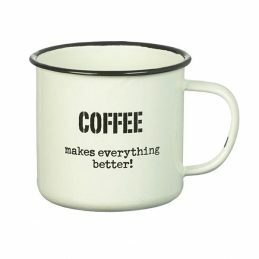 Word of wisdom: The cups are made from food safe stainless steel. 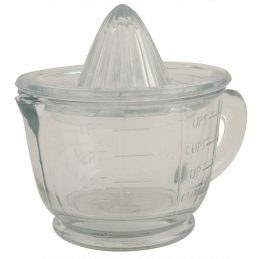 The cups can get hot very quickly when hot fluids are added. The hand painted finish means these items are hand wash only. 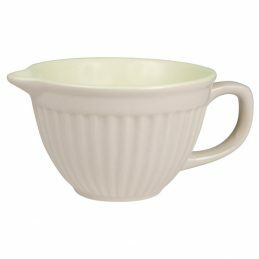 To care and maintain your cup we recommend you wash in warm soapy water and hand dry. Our striking Satara Hand Painted Trays have a stylish Aztec design. 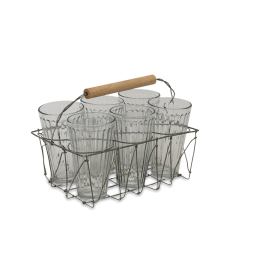 They provide a great base for serving drinks and displaying our cups and jugs beautifully. Word of wisdom: The plates are made from stainless steel. The hand painted finish means these items are hand wash only. 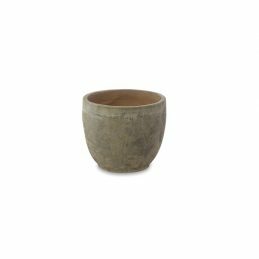 These sturdy yet stylish traditional clay garden pots are well suited to a garden or terrace. 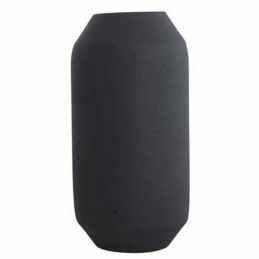 Their pared back look fits a natural environment.Hole in the base for drainage, these are frost proof. 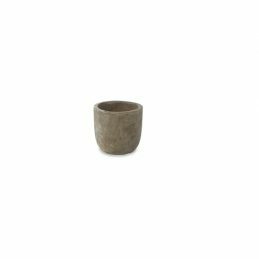 These authentic clay pots are handmade from clay with a raw natural finish. We love the aged look of these pieces. The pots are made using traditional coiling techniques in Vietnam. 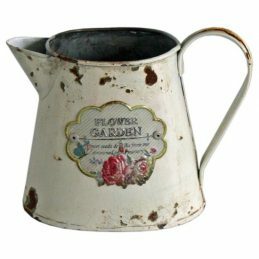 VinPretty vintage style jug, can be used to display flowers at your home or in the garden. 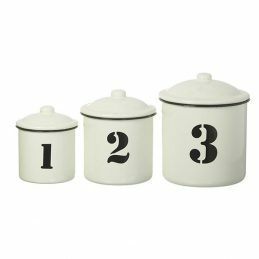 Ideal for storing utensils in your kitchen or use as a decoration. Item for decoration purpose only. 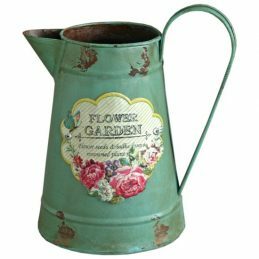 VinPretty vintage style jug, can be used to display flowers at your home or in the garden. Ideal for storing utensils in your kitchen or use as a decoration.den. Item for decoration purpose only. Cheese or cake dome 25 cm x 15 cm dome & 27.5 cm x 1.5 cm base. 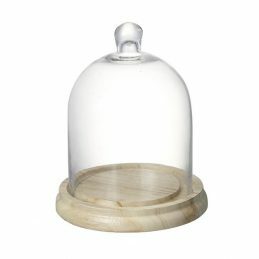 Our clear glass, bell dome sits upon a solid beech 1.5 cm / 1 in extra thick board. 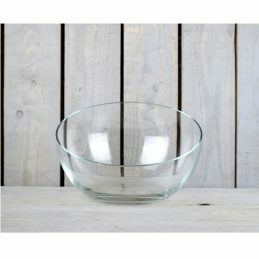 Total weight: 2270 g Hand wash the glass dome with care & oil the beech board with either vegetable, olive, rapeseed, walnut or Danish oil before first use and keep clean by simply wiping over. Re-oil when needed to preserve and enrich the wood. Wooden board with glass lid. Cheese or cake dome 25 cm x 13 cm dome & 25 cm x 1.5 cm base. 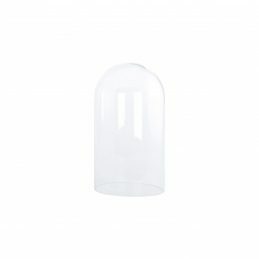 Our clear glass, bell dome sits upon a solid beech 1.5 cm extra thick board. Total weight: 1970g Hand wash the glass dome with care & oil the board with either vegetable, olive, rapeseed, walnut or Danish oil before first use and keep clean by simply wiping over. Re-oil when needed to preserve and enrich the wood. 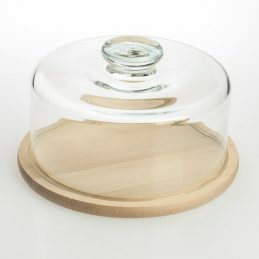 Wooden board with glass lid. 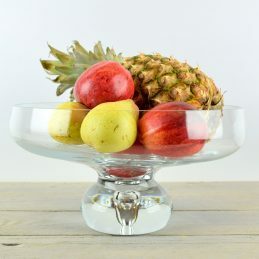 Serve your guests with this beautiful piece to enhance the look of any dessert, fruits or selection of cheeses at your table or leave it as a decoration. 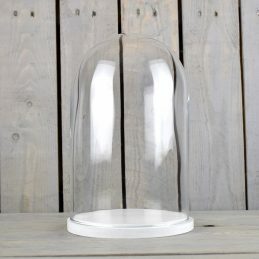 This charming, glass cake dome will be a perfect addition to your kitchen for displaying and keeps fresh. 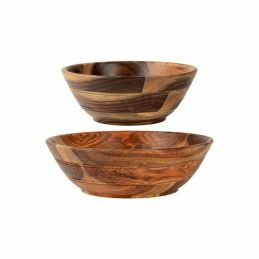 Modern design sheesham wood set of 2 bowls by Ib Laursen. 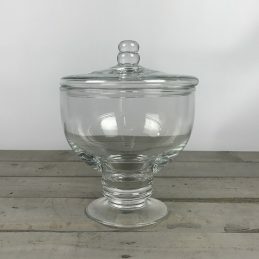 Perfect for salads or to keep fruits in. Great for being used as a tabletop decoration. 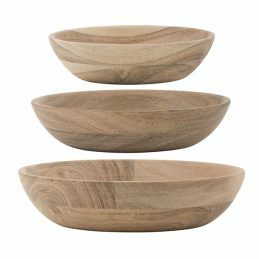 Modern design acacia wood set of 3 bowls by Ib Laursen. 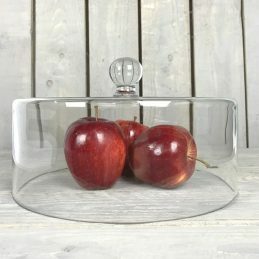 Perfect for salads or to keep fruits in . Great for being used as a tabletop decoration. 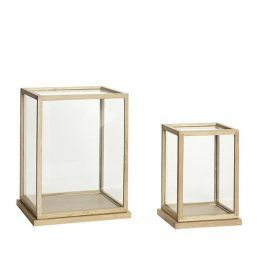 Set of 2 rectangular glass showcase with wooden base, perfect to exhibit your favourite ornaments, precious pieces and antiques. 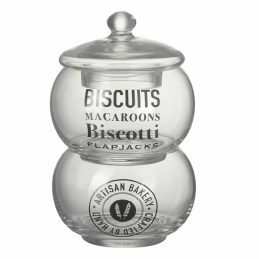 The glass case is ideal for a nice display on a table or on a dresser. 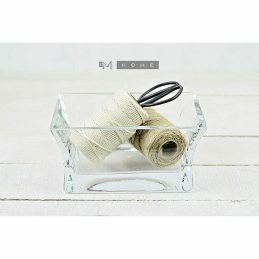 You can also use the glass case as an alternative storage solution in your office for things such as ribbons and tape. Available also in different shapes. 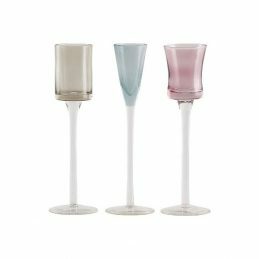 Serve your guest with this elegant wine glasses, available in three different pastel colours, made by House Doctor: purple, grey, dusty green. 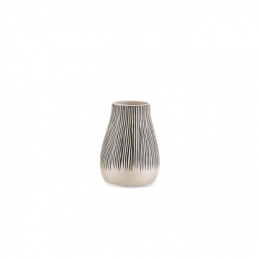 This beautiful design makes it the ideal addition for any dining table. It’s also perfect for serving water. It makes a great gift for any occasion.